We're delighted to announce that our newest iOS application has been released. 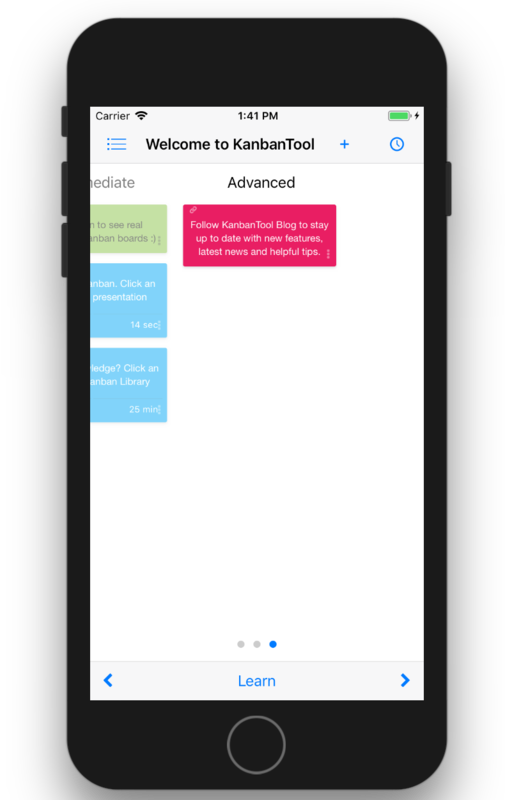 Simply update the app on your iPhone if you've used it before, or download it now to use Kanban Tool on the go. This update introduces a brand new, lovely interface as well as support of a number of new features. Navigating through the workflow stages has been made easier and you can now view task comments, checklists and history. All of the newest Power-Ups got mobile support too - you're welcome to use Task Summary, Recurring Tasks, Postponed Tasks and Checklist Templates on the go. It would be much appreciated if you could rate our app in the App Store if you like it. Thanks!